Come out on this fun filled and exciting day and share an Easter Egg Hunt with us at Beardsley Park. The search will commence with our Tiny Tigers ages 3 to 5 followed by an open youth egg hunt (non monetary) for guest and members. The most exciting hunt will be a monetary and gift pack hunt which will be for members and contributing guest to include two special fun packed Easter Baskets along with a total of $100 (2-$20, 1-$10, and 10-$5) in cash hidden in eggs along with some other surprises. 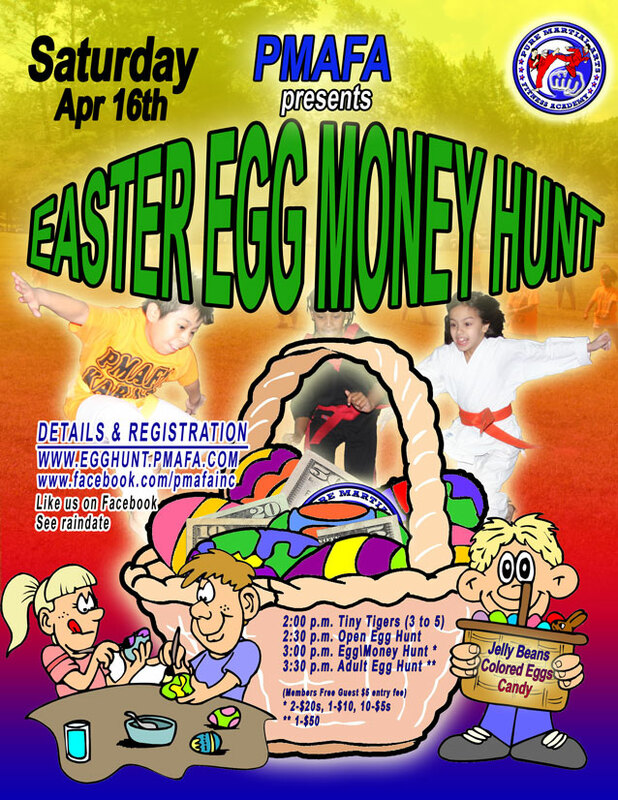 The last hunt will be to get parents active and remembering what it was like to be a kid with a hunt that will include a Gold Egg housing a $50 bill. This event is one of many to set the stage for the F.C.C. Seminar as well as the Movie Night and Awareness Day. So get ready for the incredible memories and fun from these events starting with this Easter Egg Hunt.